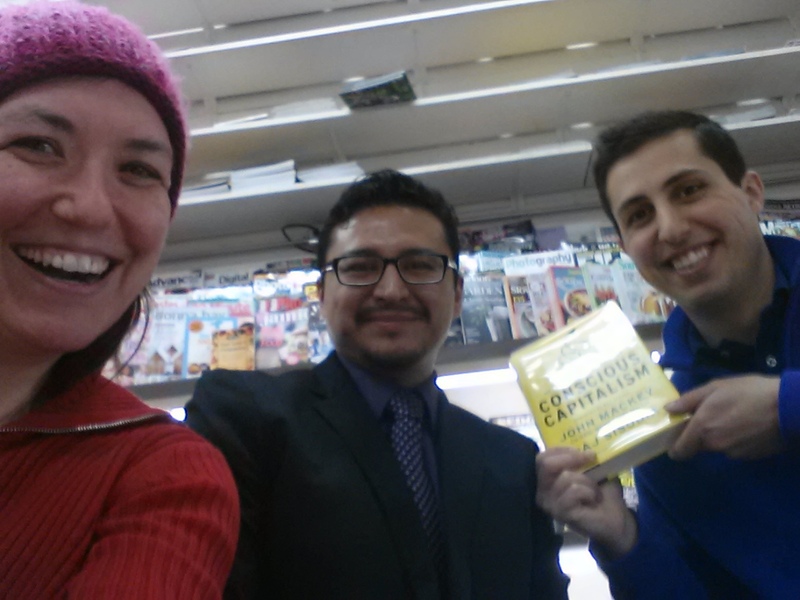 Moh’d is holding the book of the month, Conscious Capitalism, by John Mackey and Raj Sisodia, and I took the picture. Juan is sitting in the middle, and we were at the Michigan News Agency. Juan and I convinced Moh’d that it is an interesting book to read and we all plan to finish (and start) it! The book has been reviewed quite a bit. If you would like to check out the resources, please click this link.